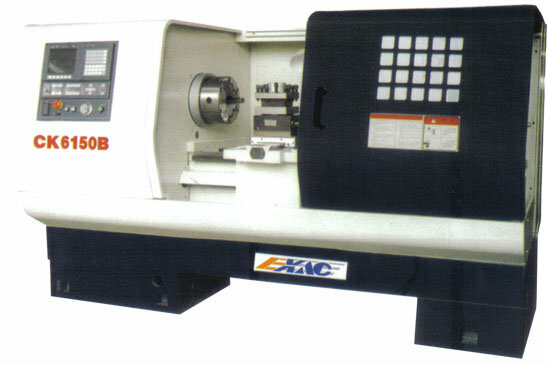 The machine adopts ISO international code. Keyboard manual data input, it is also provided with program of power cut off protection and the functions of automatic disgnosis, and with RS232 interface. Either vertical and horizontal 4-station or 6 -station tool post or gang tools can be selected. The post is located on precision contrite gear with a high repeated positioning accuracy. The surface of the bedways is supersonic frequency hardened and precision ground with a long service life. Variable spndle speed can be programmed as two rangs, that is high one and low one.